FootGolf combines the popular sports of soccer and golf. The game is played using a regulation size #5 soccer balls on a traditional golf course with 21-inch diameter cups. 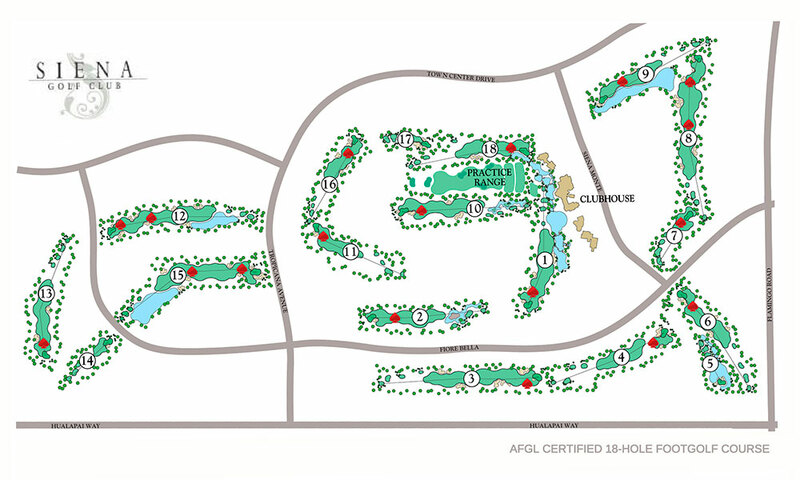 FootGolf tee times are offered from 3 hours prior to dark (year round). 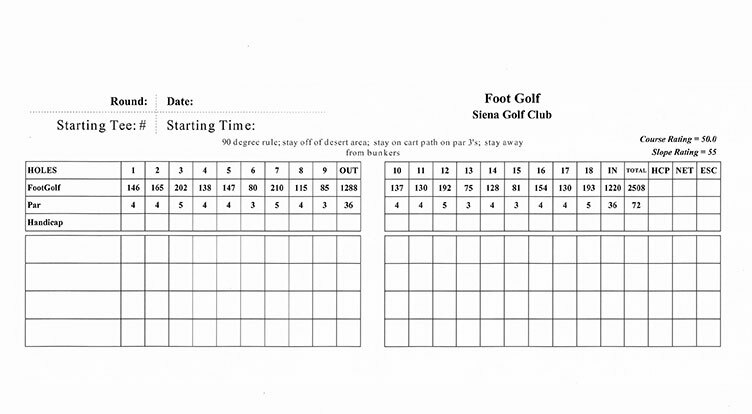 The pace of play standard round for FootGolf is 2 hours. Tee times may be booked 3 days in advance. FootGolf is a combination of the popular sports of soccer and golf. The game is played with a soccer ball on a golf course with 21 inch diameter holes . The rules largely correspond to the rules of Golf. This wonderful game is played, for the most part, without the supervision of a referee. The game depends on the integrity of the player to show consideration for other players and to abide by the Rules. All players should conduct themselves in a disciplined manner, demonstrating courtesy at all times and sportsmanship, regardless of how competitive they may be. This is the spirit of the Foot Golf game. 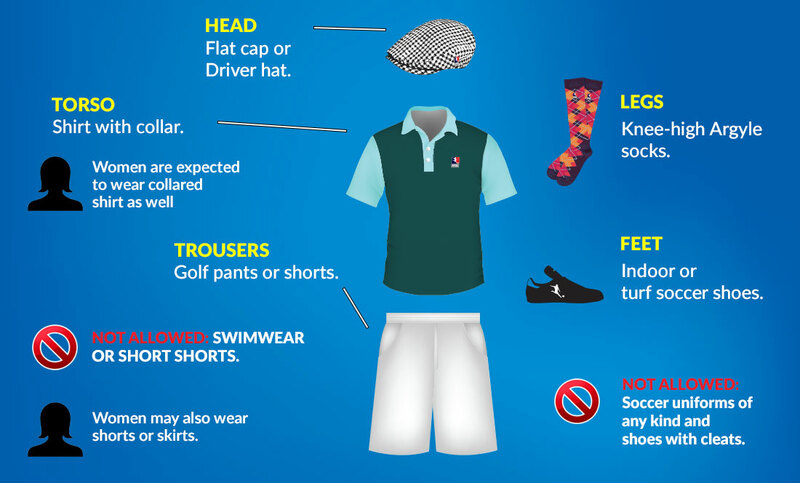 Wear appropriate clothing – golf cap, collared shirt, and argyle socks are preferred. Your ball must be easy to identify with. Review the scorecard and wait for your turn. Make sure your kick will not interfere with other players. Kick off your ball from a position up to two meters behind the tee markers. Play the ball from where it lies: You are not allowed to move the ball or remove jammed objects. Exception: You may mark the spot and lift the ball when it may obstruct the other player’s kick or ball in any way. FootGolf Rules are based on the Rules of Golf.